Snigdha Nag, a Barrister and Senior Lecturer in The City Law School, says employment law should keep pace with the world of technology and online business models. The internet and smartphone apps have brought savings and convenience for consumers when shopping, travelling, ordering food or finding a place to stay. Uber, Didi, AirBnB, Deliveroo and Amazon are all examples of digital business success stories. How some of these companies achieve their competitive prices may give some of us pause for thought. In the UK, individuals go to work and get paid under three possible models; self employment, as a “worker”, or as an employee. The distinction is important, as it governs the rights enjoyed by those individuals and the level of potential cost, and administrative burden to the company using that person’s services. Workers enjoy a decent level of protection, but employees have the most rights. Naturally, companies would prefer their work to be done by the self-employed. Where the digital business relates to the provision of accommodation, such as Booking.com or AirBnB, the people who work with them do not obtain rights. This is because the websites only act as a source of advertising, they cannot guarantee customers, whose bookings are unpredictable. What is provided is not work, but a booking. There is no promise to provide work on the part of the digital business and no obligation to do the work provided by the accommodation owner (what is called “mutuality of obligations” in employment law, one of the essential elements of a contract of employment). For driving and delivery digital businesses, reliability is important. As a result, they want their drivers and delivery operatives to commit to doing the work given to give certainty to the customer. When the work is available, the digital business will give it to the operative who then has to get on and do it. If so, we begin to see the start of a possible contract of employment. Follow this up with control on how the job is done by the business (systems, protocols, uniforms) and we have another indicator of employee status. Only a right to delegate the work which is a genuine one would assist the business in deflecting a finding of employee status. Or a free right of the individual to choose whether or not to take a job and to refuse jobs. Currently, drivers working for the extremely popular Uber app are in the middle of a test case to determine whether they are employees, workers or self employed. The GMB union are arguing they are workers in this case with 17 claimants. The outcome is unpredictable and will depend on the facts proven by each side. 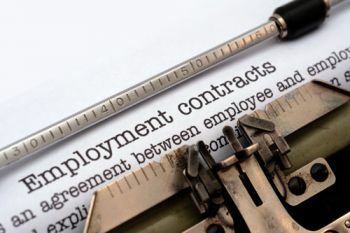 The actual contract in paper between the drivers and the company may well say the drivers work on a self employed basis, but the courts will look at the reality (“the substance” and not “the label”) to ensure it is not a sham agreement. This is because of the inherent inequality of bargaining power between the individuals and the company. This case, when decided, will be significant as the drivers, if workers will win the right to the minimum wage, holiday pay, rights on limits to their working time, rest breaks, weekend breaks and overnight breaks, protection from unlawful deductions from their pay, family friendly rights (parental/adoption/maternity and paternity leave). If employees, you can add to that list rights to claim unfair dismissal and redundancy pay. The principle that work allocated on a job-by-job basis makes you an employee in the digital age would be recognition that the nature of work in the UK is changing rapidly and that employment law must keep up with the world of tech and online business. We await the decision with baited breath. A digital enterprise is an organization that uses technology as a competitive advantage in its internal and external operations. Following the introduction of the Web, for example, the term was sometimes used to refer to business activities or new business models that incorporated digital technology, such as the purchase of goods from online sites such as Amazon.com. As more business processes, products and business models are transformed by digitized information, the term will continue to evolve.